Augmentation of mitochondrial oxidative stress through activating a series of deadly events has implicated as the main culprit of arsenic toxicity and therapeutic approaches based on improving mitochondrial function hold a great promise for attenuating the arsenic-induced toxicity. Acetyl-l-carnitine (ALC) through balancing the coenzyme A (CoA)/acyl-CoA ratio plays an important role in mitochondrial metabolism and thereby can help protect hippocampal neurons from oxidative damage. In the present study, we aimed to explore the effect of arsenic interactions on the mitochondrial function in the hippocampus of rats. Rats were randomly divided into five groups of control (distilled water), sodium arsenite (NaAsO2, 20 mg/kg), and co-treatment of NaAsO2 with various doses of ALC in three groups (100, 200, 300 mg/kg) and were treated orally for 21 consecutive days. 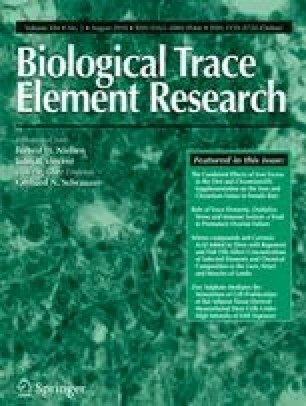 Our results point out that arsenic exposure caused oxidative stress in rats’ hippocampus, which led to the reactive oxygen species (ROS) generation, mitochondrial swelling, the collapse of the mitochondrial membrane potential, and release of cytochrome c. It also altered Bcl-2/Bax expression ratio and increased caspase-3 and caspase-9 activities. Furthermore, arsenic exposure via activation of NF-κB and microglia increased inflammation. ALC could concentration-dependently counteract the arsenic-induced oxidative stress, modulate the antioxidant defense capacity, and improve mitochondrial functions. In addition, ALC decreased the expression of both death-associated proteins and of inflammatory markers. These findings indicate that ALC improved the arsenic-induced hippocampal mitochondrial dysfunction which underlines the importance of ALC in providing a possible therapeutic strategy for the prevention of arsenic-induced neurodegeneration. This publication and work are based on studies sponsored and funded by vice chancellor for research (Project No. 31789), Tehran University of Medical Sciences, Tehran, Iran. All experiments were carried out in accordance with the guidelines of the Ethical Committee for the Use and Care of Laboratory Animals, Tehran University of Medical Sciences (Tehran, Iran).